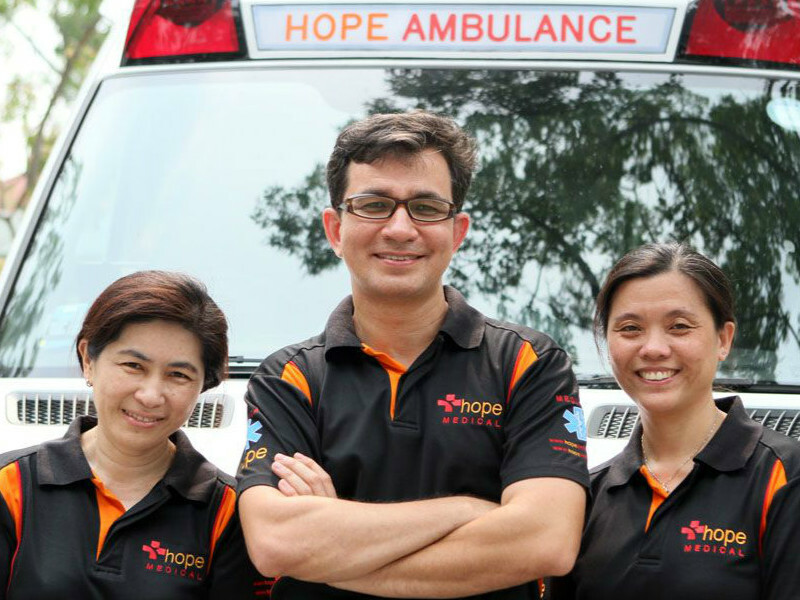 HOPE Ambulance is committed to providing the highest level of emergency medical, transportation, training, homecare and nursing services. At Hope, care solutions are personalised according to patient / client / family needs. No assignment is too small or overwhelming for us to handle. Our teams are honest, our prices fair. Home Nursing & House calls: Do you need a nurse or doctor to care or attend to a loved one? First Responder & Emergency Training: We provide realistic, lively and professional training to public and healthcare professionals. Courses internationally certified. Hope Ambulance is run by dedicated, caring professionals who believe in our company value “When Life Matters”. We understand that behind every call for assistance we recieve, there is a fellow human in need, and a family who cares. 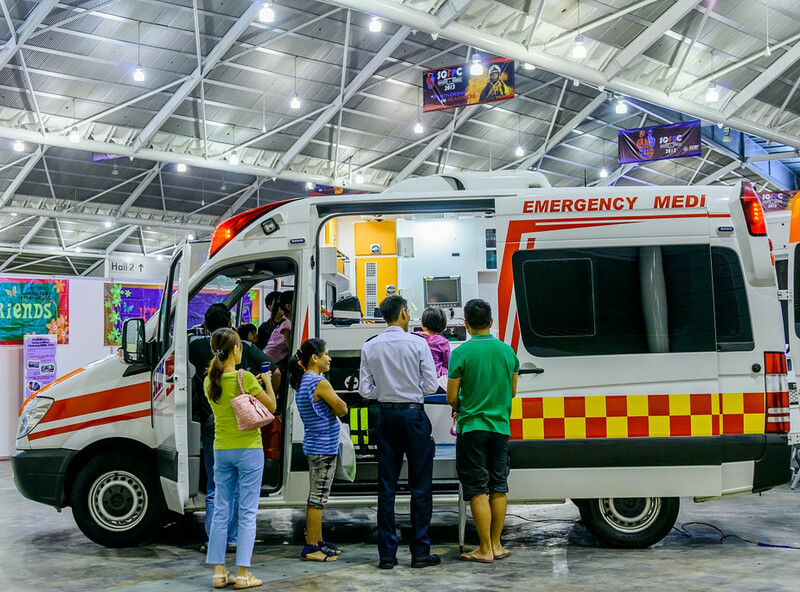 HOPE Ambulance provides first aid training, health care consultancy and paramedical services to organizations and individuals throughout Singapore and the region. We offer training to all; adults, students, public and healthcare professionals. Training in First Aid and Pre-Hospital Emergency Care. 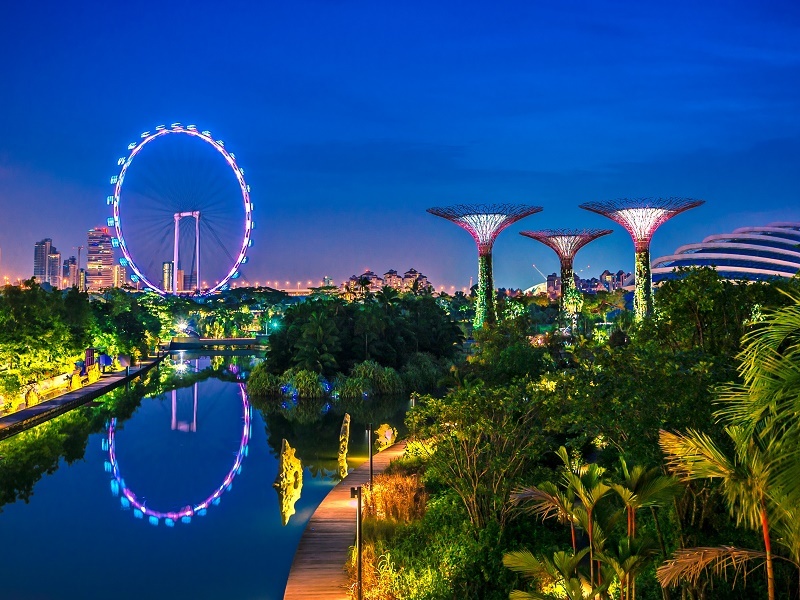 We can deliver training at the time and the place that suits you, with realistic face-to-face training and flexible learning solutions-such as CD ROM and skill station training-tailored to your organization’s needs. Our standard courses are internationally accredited by the Emergency Care and Safety Institute (www.ECSI.org) . Hope’s affiliation with ECSI strengthens our goal in providing internationally recognized courses. ECSI has the support of American College of Emergency Physicians and American Association of Orthopaedic Surgeons. Our instructors are selected, trained and developed in accordance with our high standards. All instructors are healthcare and safety professionals with first hand experience and bring a wealth of knowledge to the classroom. Hope Ambulance provides nursing services at your home as an alternative to prolonged hospital stays or repetitive visits to an outpatient service . For elderly patients, home bound patients or those burdened by chronic disease, house calls relieve the stress, discomfort and inconvenience of travel.